Work is assigned on a daily basis. It should be labeled with student name, assignment title, and date. The answers to questions from the Homework Helper are linked within the class’s Google Drive. I will not collect homework every day but students are still expected to do each homework assignment and ask questions as needed. A student who fails a major test will have the opportunity for a re-test. The student must meet with me to discuss the test and work on corrections to qualify. The maximum score on a re-test is 70%. It is recommended that test corrections and re-tests be completed within a week due to the number of tests given during the grading period. Department re-test times are posted in the classroom and halls, as well as on the Google Drive. During tutorials, students can get help on material they missed, material they are stuck on, or they can come in the room and simply have a place to work their homework and ask questions as they go. I want every student to be successful so if the tutorial times do not work please let me know and we can schedule a different time. If a student needs additional help, I can get you in contact with peer and teacher tutors. Students have access to the classroom Google Drive shared folder. Each student should have this saved to their Google Drive App. It contains annotated notes, calendars, tutorial times, and additional information. 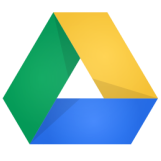 Course documents, annotated notes and review keys may be found on the shared Google Drive folder (click the icon! ).